Monday was a really cool night. My friend Taku emailed me and said he wanted to come down with some friends visiting and have some drinks at Parkway and listen to me play. I love my Monday nights at the Parkway grill in Pasadena. It’s got a very nice vibe. Old school. Cool. Great Yamaha Grand Piano. Lot’s a familiar faces and I’ve been there for 5 years or more now and it just feels comfortable. Taku came with his rather large party around 8pm or so and they hung out until 10. We just had a great time. 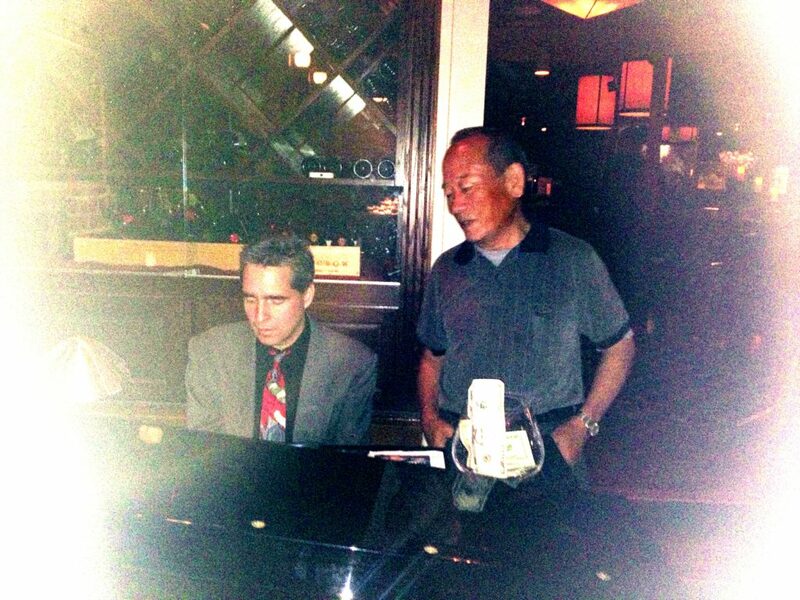 It was quite towards the end of the night and I even had his father Hiroshi sing a few songs with me. 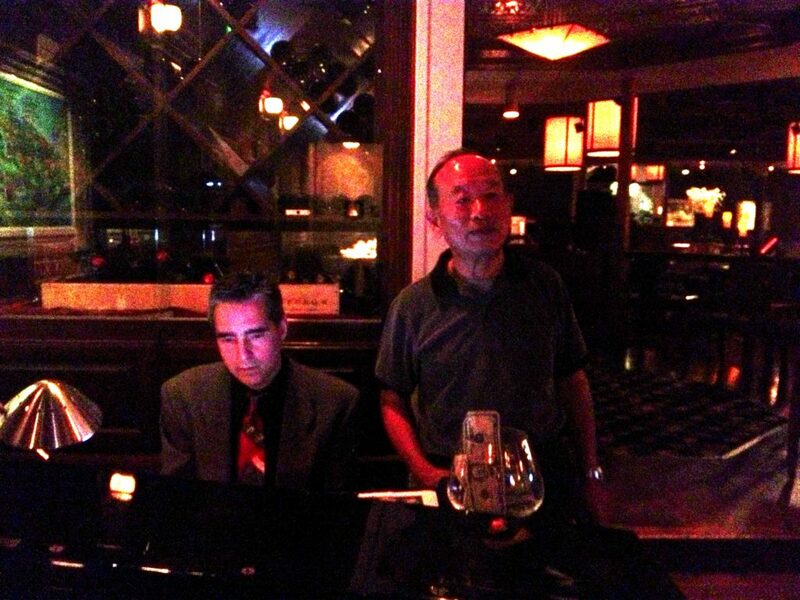 I’ve played piano at Parkway grill for over 5 years.